GAIA’S VIP SERVICE includes: tropical welcome drink, daily a-la-carte breakfast served in our La Luna Restaurant, Welcome Cocktail & Tapa on the day of your arrival at our Ambar Lounge during Happy Hour (4pm to 6pm), Transportation to and from the beautiful beaches of Manuel Antonio and the National Park (every day from 7:30AM to 4:00PM), Complimentary guided Tour in our own Nature Reserve (daily except on Mondays at 3:30pm), FREE WIFI access throughout the property, your own private Concierge who will assist you in all your needs and arrangements, Use of our Fitness Room, Free local and international phone calls, twice Daily maid service. Terra is GAIA´s fully equipped luxury SPA offering 6 treatment rooms for a diversity of treatments to rejuvenate and relax. The tranquility of the tropical rainforest as background will put you in a restorative state while our highly trained therapists will take care of you. Whether your skin is being nourished with a facial, body wrap or body scrub, enjoy organic products – volcanic clay, honey, ginger and chocolate made of organic cocoa beans to then rinse off with our Vichy Rain Shower or enjoy a Thermo Therapy session at our private Aromatherapy Steam room or Finnish Sauna. Our luxurious Terra Spa is open for outside and hotel guests daily from 9am to 7pm. To celebrate life or a special occasion – treat yourself and the ones closest to your heart with a spa party at our Terra Oasis. Choose from 4 delightful package options for your party of minimum 3 participants and enjoy a moment of rejuvenation and indulgence. All packages are accompanied by a glass of sparkling wine or fresh fruit smoothie. With Nature as our teacher, Terra Spa´s “Journeys” are designed to provide you with highly therapeutic experiences. We recommend to follow the order presented for a deeply cleansing and restorative holiday or you may chose according to your needs. Our certified instructors create yoga sequences to incorporate exercise, balance, core strength and wellbeing. We offer private classes in our Terra Spa, in the privacy of your room or on your rooftop terrace (applies for Deluxe Suites and Villas.) Each of our instructors has a unique style, extensive training and experience in their field of yoga. We offer: Vinyasa Flow, Yoga Core & Restorative classes. Yoga mats and equipment are provided. We are here to facilitate your yoga journey. Or add an Aromatherapy Steam & Mud bath complimentary to your 60-90 minutes treatment of choice. 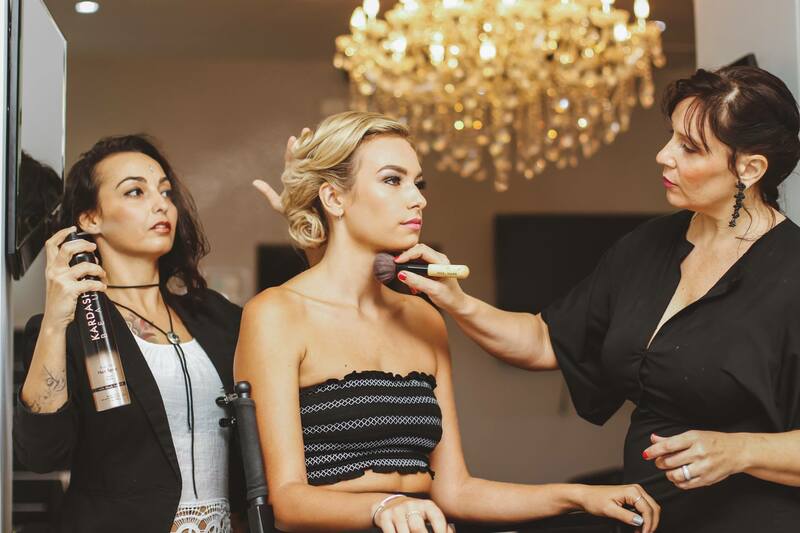 Located on the hotel grounds, Mademoiselle hair &beauty Salon will give you the best service if you are to attend a wedding ceremony, a special occasion or if you just need to refresh your hair cut. The experienced hair stylists and top beauticians are dedicated to make you look your best. Appointments must be made with 24 hour advance notice.